I was never really a huge fan of tiramisu till recently when traveling through Italy and it was literally everywhere you looked. 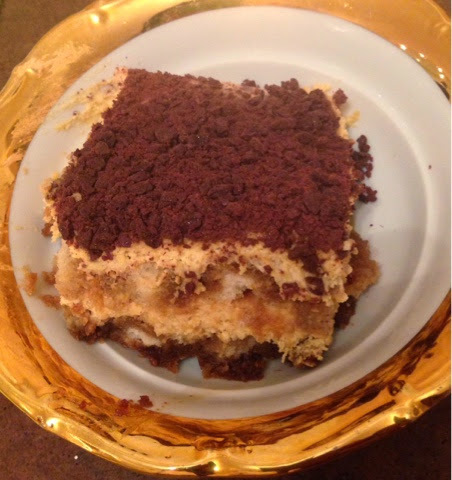 I even had a superb tiramisu from a roadside gas station! Needless to say, I became an addict. It's a perfect pick-me-up dessert and involves zero baking! Just slap it together and put it in the refrigerator. There's also no pressure to make it look perfect which is relaxing. My version is great for this time of year. It involves pumpkin which is all the rage for the autumn season. And then there's the accompanying pumpkin spices that'll make you feel warm and fuzzy inside. 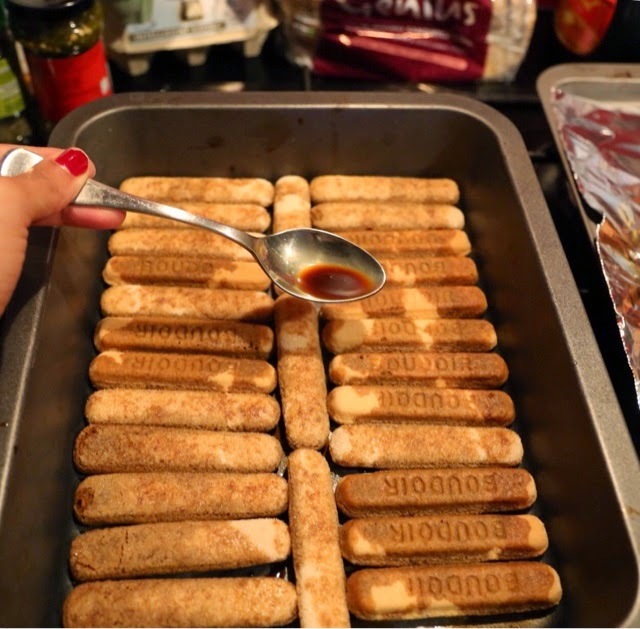 If you aren't keen on either of these ingredients you can amend them and have yourself a classic tiramisu which will still be spectacular. Now, get your mixing bowls out and get ready to party! First, with an electric hand beater, beat egg yolks and sugar together. 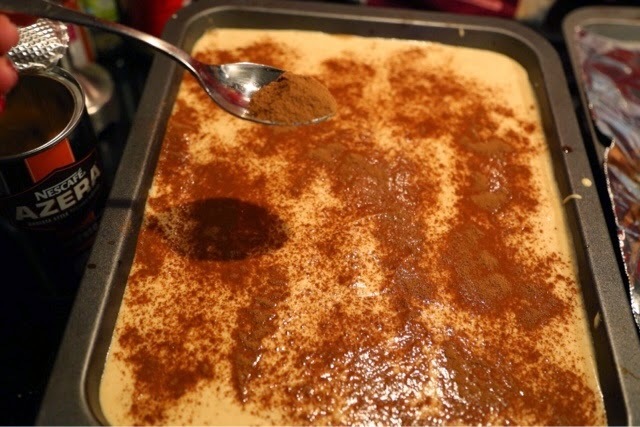 Fold in mascarpone, rum, pumpkin, cinnamon and allspice then beat all together till well mixed. 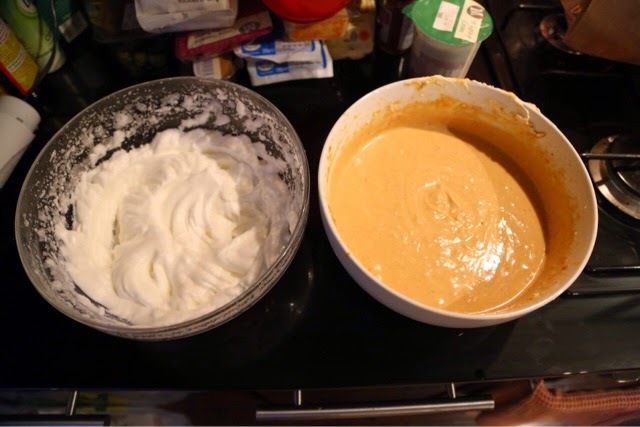 In a separate bowl, beat the egg whites till stiff peaks form then fold into the pumpkin mascarpone mixture. Rinse egg white bowl out and use to whip the whipping cream into stiff peaks. Fold whipped cream into the pumpkin mascarpone mixture and stir till well mixed then place into refrigerator for about 30 minutes. 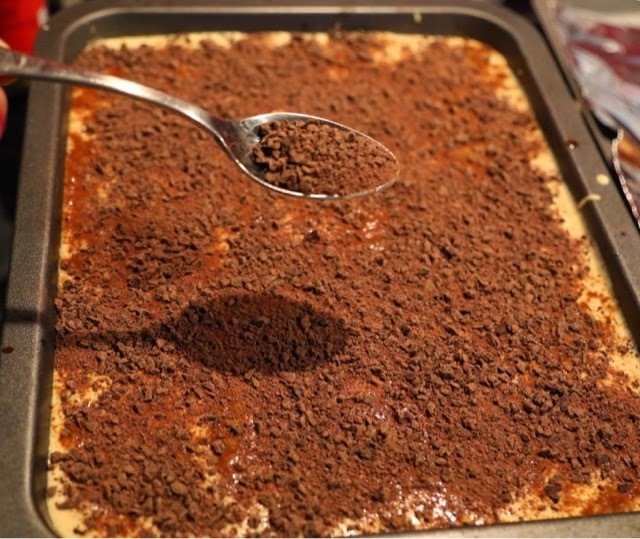 When mixture is nice and chilled, remove from refrigerator and prepare for layering the tiramisu. 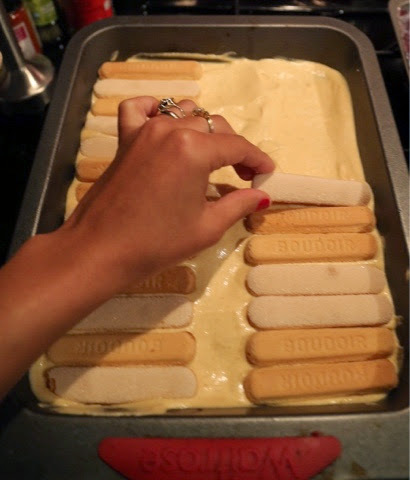 In a deep 13x9 inch ungreased cake pan, place lady fingers into a single layer on the bottom. 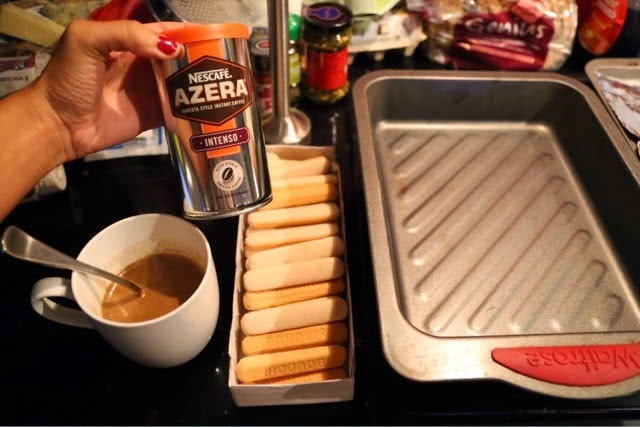 Using a spoon, splash half the prepared instant coffee evenly over the lady fingers. 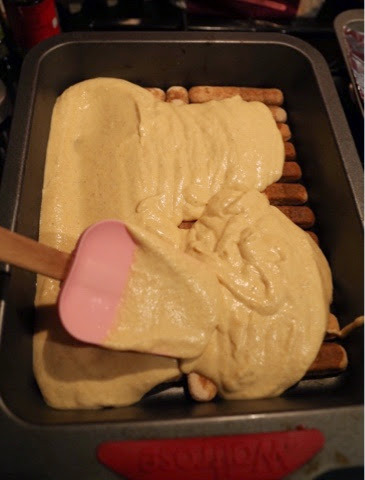 Now spread half the chilled pumpkin mascarpone mixture evenly over coffee soaked lady fingers. Repeat this layering once more then dust the top with instant coffee powder then with the grated dark chocolate and you are finished! It's best to keep your tiramisu refrigerated for at least 2 hours so that the flavors have a chance to come together. Trust me it's worth the wait! Enjoy!